We already wrote some tips on how to go green at home with these practices, but you can do more by remodeling your home to be more eco-friendly. These are common ways of turning your home more efficient. Good insulation is one of the key elements of a green home. Insulated walls and roof don’t let heat escape during the cold seasons and don’t let it into the house during hot summers. This can help you save energy on heating or cooling your house and not only reduce resource consumption, but also help you save money on power bills. Windows can too let the heat escape or get into the house so be sure to replace/seal old window frames to help keep the heat inside or outside depending on season. You can also use thermal shades to keep heat from the sun at bay and your house cool. Both good insulation and sealed windows will reduce noise from the street and provide for healthier better sleep. Replacing old vinyl flooring is a must for an eco-friendly home. 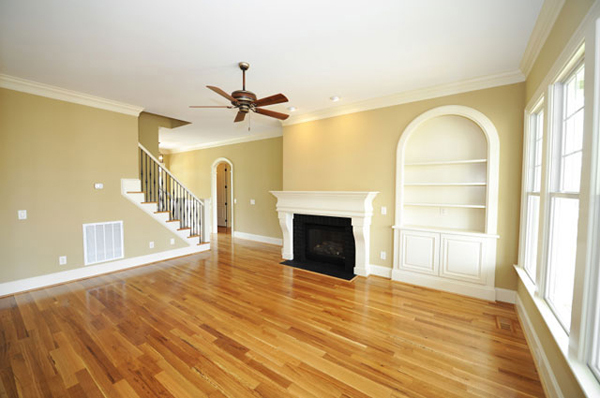 If you want a greener and safer home, use natural solid woods or bamboo for your flooring or wall paneling. They will not only last longer but will also keep your house free of VOCs. You can go recycled/reclaimed wood floors or opt for a greener bamboo that renews every five-seven years. Upgrade your water fixtures such as faucets and shower heads to avoid any leaks and excess water flow. Fixing leaking faucets is always a good idea but replacing them with more efficient models provides for smarter water use. You may even go as far as istalling a system for reusing greywater or collecting rainwater. Upgrading heating and cooling systems, even if it means replacing filters can also increase your house efficiency. Also consider fireplaces that run on bioethanol and simply high efficiency systems.